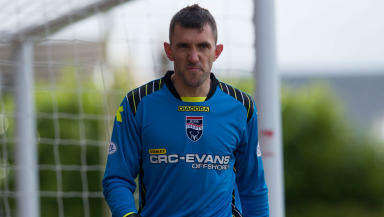 The Staggies have kept hold of goalkeeper Mark Brown and defender Steven Saunders. Mark Brown and Steven Saunders have signed new deals with Ross County. The pair have agreed one-year extensions to their deals, which were due to run out this summer. However the Staggies will have to do without the services of Greek defender Evangelos Oikonomou who has decided to return to his homeland. Manager Derek Adams told the club's website: “It is great news that both Mark and Steven have signed up for next season, with Mark also taking on the extra responsibility of full time goalkeeping coach. "I would also like to take this opportunity to thank Evangelos Oikonomou for his services to the football club in his two spells here." 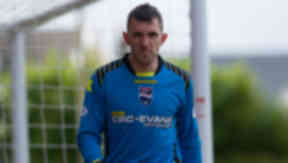 Goalkeeper Brown played 30 times for County this term while Saunders made 13 appearances following his move from Motherwell.